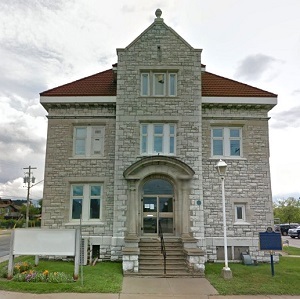 Ontario Northland has sold a historic downtown North Bay, Ont., commercial property for more than $200,000 over its initial bid, via a website which specializes in government asset sales. The 9,559-square-foot building at 195 Regina Street sold Thursday afternoon for $567,000 after a last-minute flurry of bids at the GovDeals.ca website. The auction was scheduled to close at 2 p.m., but was automatically extended as higher bids continued to flow in. The winning bid was submitted about 90 minutes later, at 3:27, according to spokesperson Angela Jones. The winning bidder was not immediately disclosed. The sale is still subject to completion of payment and property transfer. Originally built in 1908 to house the Temiskaming & Northern Ontario Railway (T&NO), the building was a symbol of T&NO’s economic importance to the community by connecting the city to the Northern Ontario rail system. Historically, the property was seen as a catalyst for economic growth in the region. First, it served as a major transportation centre and more recently as a popular filming location in a city where shows such as Cardinal and Jerry O’Connell’s Carter were shot. The most recent tenant was a telecommunications service, until it moved in 2015. In a release announcing the bidding, GovDeals says the building has been maintained during its vacancy and is in “good condition”. Designed and constructed in the Edwardian Style, it features white limestone walls, a hipped roof, and a classical entrance with an arch framing the main doorway. The property sits on a half-acre lot which includes 35 paved parking stalls. The current zoning is C2, General Commercial Outer Core. Ontario Northland looks “forward to seeing new activity and business in this building, which will further contribute to Oak Street’s renewal,” said Erin Mullens, legal project specialist with Ontario Northland, in an earlier release announcing the bidding process. The sale marked Ontario Northland’s first auction on the e-commerce website, which was created specifically for government entities to sell surplus property, real estate and other assets, thus providing a national buyer base.